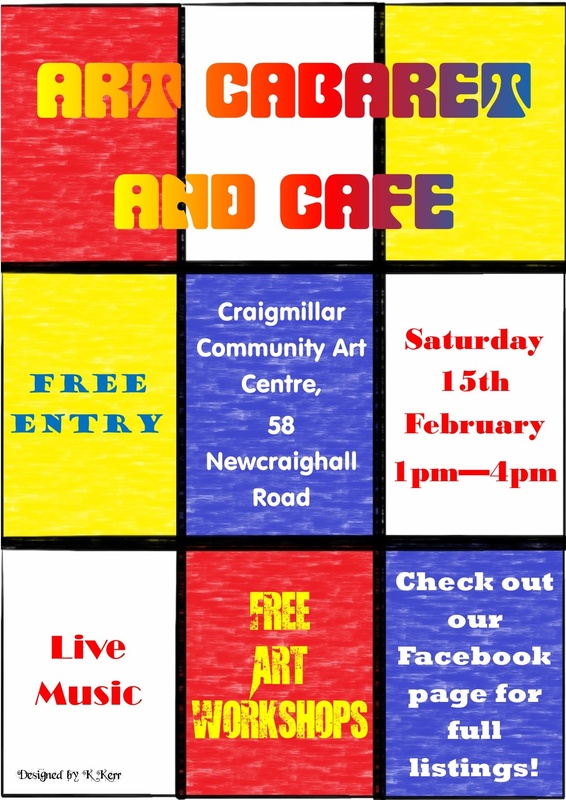 To celebrate World Community Arts Day and launch our new “Arts and Health” programme, Craigmillar Community Arts is running an Arts Cabaret. Our fun event will offer opportunities for anyone attending to sing, paint, act, write, try some crafts and listen to music while learning how taking part in creative activities can improve your health. The event is open to people of all ages and you can drop in for a while or stay all afternoon. There will be a scheduled programme of workshops throughout the afternoon, a range of drop-in activities, a pop-up café and an opportunity to have a free health MOT (provided by Edinburgh-based social enterprise, the Centre of Health and Wellbeing). This event will also mark the start of our exciting new “Arts and Health” programme (funded by NHS Lothian Health Foundation), which will run over the next 2 years. 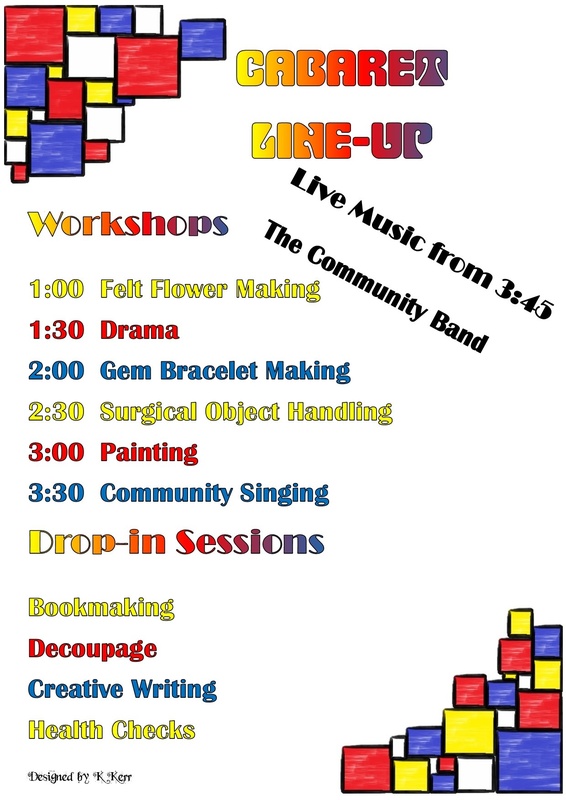 All activities and workshops are free. How many attended, on the day, I hear 6 people? No info on web site.